If Mold Is Present, We’ll Find It! Request a mold inspection for your home in Brockton, Canton, Mansfield, Taunton, Kingston, Hanover, Hingham, Bridgewater, West Bridgewater, East Bridgewater, Easton, Whitman, Sandwich, or Cohasset MA. To the untrained eye, mold can be difficult to find. That’s where we come in. Our professionals at Baystate Mold Advisors LLC are regularly trained to detect mold growth. We’ll complete an inspection of your Brockton, MA home so you can be one step closer to improving your indoor air quality. Dial (508) 930-7326 now to schedule a mold inspection for your home. At Baystate Mold Advisors, LLC in Brockton, MA, we are committed to providing our clients a safer, cleaner environment that has mold under control. That’s why we offer a complete line of mold remediation and inspection services. 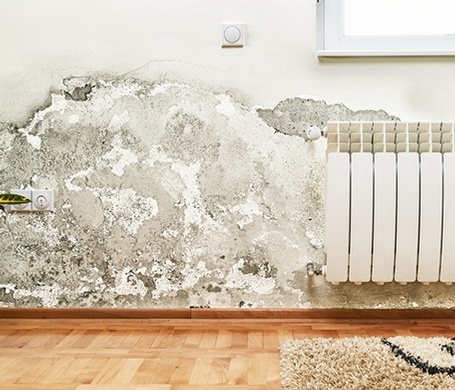 With training from the NORMI Certified Mold Inspector and Remediation courses, we have the knowledge to find mold and get rid of it, no matter where it might be lurking. When you choose our mold inspection services, you get everything: mold and IAQ sampling, environmental assessment, lab testing, and qualified mold remediation specialists. Our equipment is state-of-the-art, and can detect mold growing in unseen places. We’ll get the information you need to make an educated decision for your home or business. We even provide industry-leading warranties for our work! We offer an unprecedented 30-year written and transferable warranty. Conduct a walkthrough in the area of concern. Diagnose the problem, which may lie in the attic, roof or plumbing system. Complete a moisture test to find leaks or standing water. Conduct a thermal imaging test to find moisture issues behind your walls. Come up with a protocol to confront the problem. Write an inspection report to review the issues we found. Discuss your mold-related concerns with Baystate Mold Advisors LLC, and we’ll help you find any mold in your home. You can reach us at (508) 930-7326 to schedule a mold inspection for your home. We provide Mold Inspection Services across Brockton, Canton, Mansfield, Taunton, Kingston, Hanover, Hingham, Cohasset, Sandwich, MA.